The year started out with our traditional liquid nitrogen stand at Foskarfredag which was so enormously popular that the stands around us got a bit sad. 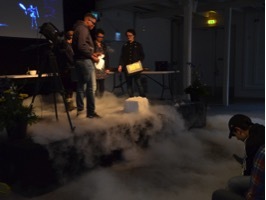 In our show at Tekniska museet organized by Semeli, liquid nitrogen was the star again, even so much that the audience went completely silent! it’s before frågelådan when they are still letting the kids come in. They way they are shouting, jumping, dancing and singing along, it’s like some kind of carnival. And this is nothing compared to the excitement of the kids when you go an stage, the floor is literally shaking and your ears are hurting for the cacophony! It’s really one of the more exciting moments of being in physic show, to those 2000 kids — you’re a rock star! 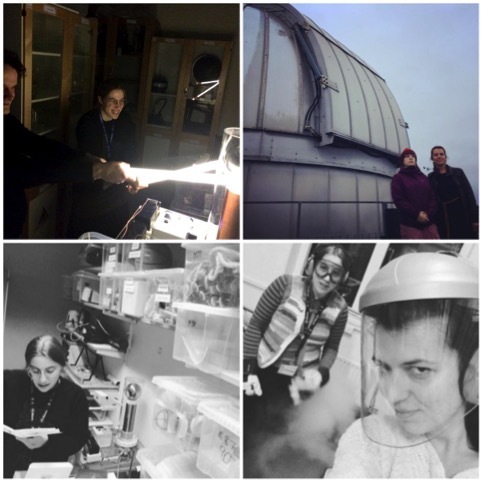 But we cannot end this report without mentioning that not only on stage but also the time behind the scenes, preparing for the shows in the labs, trying new things, such as showing the telescope, testing new experiments, have been simply fun. And we will miss the showmasters that have moved on to greener pastures and will not join us next year very much.